A really excellent cross-examiner. Her advocacy is punchy, effective and well judged for the environment. Brenda is a highly experienced leading junior with a practice that spans all aspects of criminal law and inquests. In addition to a busy and varied practice in the Courts of England and Wales, she is also regularly briefed in complex and high profile cases in Northern Ireland. For the significant part of the last number of years, Brenda has been briefed in a leading role on behalf of families at the fresh inquests into the Hillsborough Stadium disaster. However, before, during and after accepting instructions in the Hillsborough inquests, she has consistently been involved in serious, high profile and complex criminal and inquest cases, often involving the representation of defendants or families who, by reason of their personal vulnerabilities or mental ill-health, are in need of specialist representation. Her approach to cases is known to be fresh, thorough and reasoned. For that reason, she is often instructed in cases with long and complex histories (including 'legacy' cases in Northern Ireland), multi-handed cases requiring liaison with co-counsel and opposing counsel and/or fresh appeals. Brenda endeavours to ensure a consistently high standard of representation, and has a particular interest in the representation of women and children. She is ranked in the UK Legal 500 2017 and Chambers and Partners 2018, and was a Legal Aid Barrister of the Year Finalist in 2017. Brenda is a highly experienced leading junior and is regularly instructed as leading counsel to defend in the most serious of allegations or on behalf of vulnerable defendants. In 2016, Brenda represented Seamus Daly, who was accused of 29 murders and associated offences relating to the Omagh Bomb in 1998. Following a 17 year police investigation and a civil trial and re-trial in which Mr Daly was found liable in trespass, Brenda was instructed to represent Mr Daly in the criminal courts. Following her cross-examination of a key witness in the Magistrates’ Court at an ‘old style’ committal, the prosecution sought an adjournment to review, and ultimately withdraw, all charges. The case was widely reported including by the BBC, Sky News and in local and national press. Fraud: R v S & Others, Kingston Crown Court, ongoing. Sole counsel in this 8 handed trial alleging multi-million pound international fraud and money laundering. Terrorism: R v B & Others, Northern Ireland, ongoing. Allegations include belonging to a proscribed organisation, directing terrorism and preparation for acts of terrorism. R v S, Central Criminal Court: Allegation of attempted murder following a shooting in which the victim was shot in excess of 14 times and named the defendant as a perpetrator. Unanimously acquitted. R v Manea & others, Southwark Crown Court (2016): Leading counsel for first defendant. Allegations of trafficking into and within the UK, controlling prostitution for gain and money laundering. R v Gassama & others, Leicester Crown Court: Conspiracy to kidnap and behead a British Muslim soldier. R v Stancilas & others, Central Criminal Court (2011): Perverting the course of justice, in the context of a double murder and attempted murder. The defendant was acquitted of one count following a successful half-time submission and convicted of the lesser count. This case was reported by the BBC. R v Levin & others, Hove Crown Court: Conspiracy to cause criminal damage. Represented one of seven defendants cleared of conspiracy to cause criminal damage to a Brighton weapon manufacturer allegedly involved in the illegal supply of bomb release mechanisms to the Israeli Air Force. Approximately £200,000-worth of damage was caused to the factory during the protest, which took place at the same time as the Israeli assault on the Gaza Strip, codenamed Operation Cast Lead. This case was reported in the Guardian. Brenda is regularly instructed to represent families in Article 2 inquests. 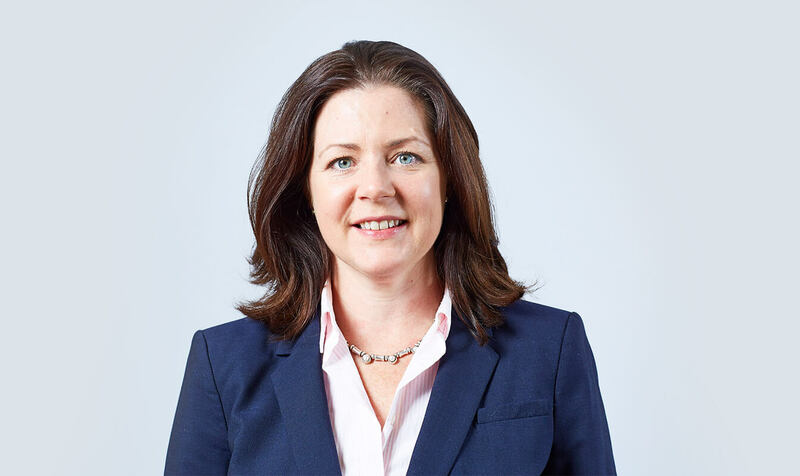 She has particular expertise in representing families in complex, historic inquests in England and Wales and legacy inquests in Northern Ireland. Between 2013 and 2016, Brenda was part of a team of counsel who represented the families of 77 of those who died in the Hillsborough Stadium Disaster. Brenda directly represented the families of 14 of those who were unlawfully killed and reports of her cross examination can be found here and here. Inquest into the death of Gareth Myatt: Together with Dexter Dias QC, Brenda represented the mother of Gareth Myatt, a child who died following restraint in the privately-run Rainsbrook detention centre. This is reported to be the longest inquest into a death in prison custody. Brenda has worked extensively in the field of human rights, both nationally and internationally, with a focus on women’s rights, children’s rights and the rule of law. She is a former Executive Committee member of the Bar Human Rights Committee and she works closely with the International Senior Lawyers Project in a joint project to deliver the Criminal Practice and Procedure Module at the Tanzania Law School. With a focus on international women’s rights, Brenda has represented the International Women’s Rights Action Watch (IWRAW) Asia Pacific on the Steering Committee of the NGO coalition for the Optional Protocol to the International Covenant on Economic Social and Cultural Rights. Having been an active participant in the drafting process at the United Nations Palais des Nations in Geneva, she then became involved in the global campaign for the ratification of the Optional Protocol. Brenda has travelled, on behalf of the Bar Human Rights Committee to Kabul, Afghanistan to deliver a three-day workshop on the rights of women and children. On behalf of the Kurdish Human Rights Project she travelled to Iraqi Kurdistan to deliver cross border training on the rule of law, and to south eastern Turkey to deliver training on the rights of women and to undertake a fact-finding mission. On behalf of IWRAW Asia Pacific she has participated in conferences and training courses in Nairobi, New York, Warsaw, Geneva and Liechtenstein. She is a regional trainer on the use of the Convention on the Elimination of Discrimination against Women (CEDAW) and its Optional Protocol and regularly teaches related modules in on behalf of national Universities. Contributing author to Blackstone’s Guide to the Criminal Justice and Immigration Act 2008. Brenda’s Privacy Notice may be viewed by clicking here.